Parmanu : The Story Of Pokhran is an upcoming 2018 Indian Hindi language thriller-drama film directed by Abhishek Sharma. The movie stars John Abraham, Diana Penty & Boman Irani in the key roles. Parmanu movie is jointly produced by KriArj Entertainment, JA Entertainment & Zee Studios. The movie is based on the first nuclear bomb test, which was conducted by India atPokhran Test Range in Rajasthan in 1998. Parmanu movie story revolves around the mission where the army, scientists, engineers & satellite experts came together to pull off the greatest covert mission of their times & made the India proud & declare itself as a Nuclear state. The test was and is called as the Operation Smiling Buddha. The story will unfold everything that went behind the Nuclear Test. 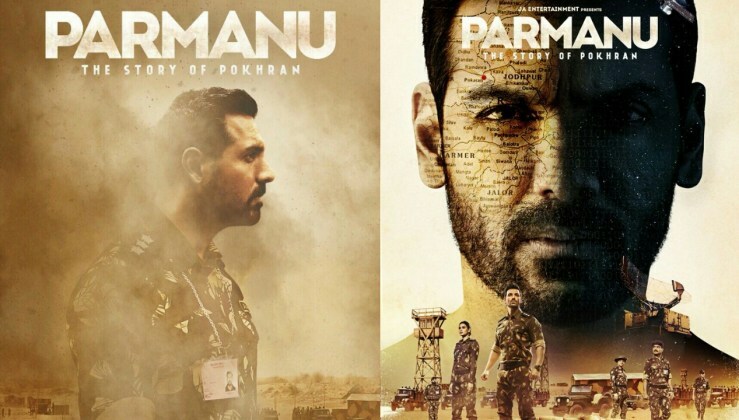 Parmanu is John Abraham’s most costliest solo film of all time. Parmanu movie budget is around Rs 50 crore. It will have to collect Rs 75+ crore in India to be considered a successful venture for all. After many postponements, finally John Abraham has confirmed that Parmanu will now release on May 4th 2018. Earlier the film was expected to release in December, but it was later postponed to February and then April. Now it is all set to hit screens on May 4th worldwide.